HAMILTON — Jim Barker has joined the Hamilton Tiger-Cats as Football Operations Consultant, the team announced on Thursday. The 62-year-old was the Toronto Argonauts general manager for six seasons before he and the team parted ways in January of 2017. Over his 30-plus year career, Barker has won four Grey Cups (1997, 2002, 2008 and 2012) as both a coach and as a football executive. He has most recently joined the CFL on TSN panel as an analyst. Barker returned to the Argonauts in February of 2010 as the team’s head coach and GM after spending time in the XFL (2001), Montreal Alouettes (2002) and Calgary Stampeders (2003-2009). He led Toronto to a 9-9 record in 2010, when they lost in the Eastern Final. 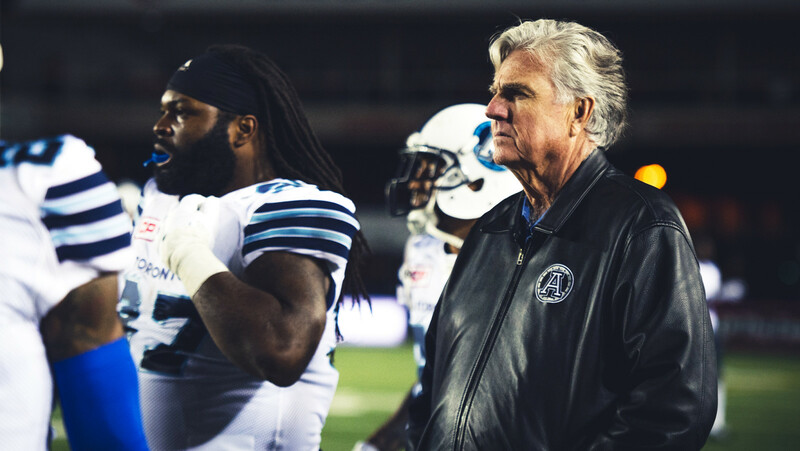 In 2011, Barker was both the head coach and general manager with the Argos and finished the season with a 6-12 record, missing the playoffs. Barker stepped down as head coach and moved forward just as general manager after the 2011 season. With Scott Milanovich as Barker’s new head coach and Ricky Ray at quarterback, the Argos went on to win the 100th Grey Cup in 2012. In 2016, Toronto tied for the league’s worst record, finishing 5-13, tied with the Saskatchewan Roughriders. Barker was then let go by the team in January of 2017. Barker first started with the Argos as an offensive coordinator in 1997 and 1998 before taking over as head coach in 1999.